To relax & enjoy your glamping holiday to the upmost we offer several services to make life that little bit easier for you. No need to rush back home. If you wish to stay a little longer you are welcome to book late check on a hourly rate per glamping accommodation unit. If the car's already crammed, or if you're travelling light, (which is always recommended! 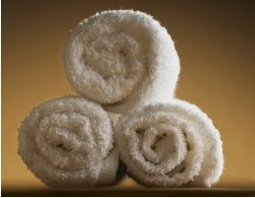 ), or perhaps you are arriving via public transport, no problem, we can supply bath and hand towels ready for your arrival. 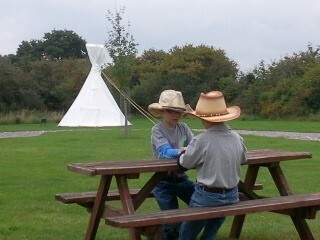 We pride ourselves on providing cost effective luxury glamping. If guests need to keep the costs down they are welcome to bring their own bed linen. Alternatively we can provide bedding packs for singles and doubles consisting of under sheet, duvet, duvet cover, pillow(s) and pillow cover(s) and have these prepared on your beds ready for your arrival. No need to bring the sleeping bags! Our glamping Cabin and our glamping Dome are equipped with Nespresso coffeemakers, so if you need your newspaper to complete your morning, just let us know. Order your favourite newspaper or magazine in advance of arrival and we'll visit the nearest store to bring it straight to your accommodation for you. Want a glamping weekend but forgot to arrange to leave the office early Friday night? No problem, we offer a late check-in service up to 9pm at night. We'll keep the the main gates open and have staff stay after hours so they are on hand to see you in, show you where the amenities are and make sure you're settled in. Spend a lazy afternoon relaxing while the kids play some traditional garden games such as giant Jenga, croquet or quoits, or embrace your inner child and join in yourself! 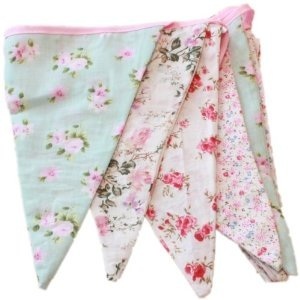 Add a even more glamour to your glamping experience by hiring vintage style bunting which we can have ready hung for your either inside or outside your accommodation depending on the forecast. We can also provide logs & kindling for your fire pit and charcoal & firelighters for your barbecues! These are packaged up by our team ready for your arrival. Think you'll need the "whole kit & kaboodle"? Simply mention the additional service you would like when booking your glamping accommodation. Relevant fees apply to cover expenses, please check your booking form for costs.